Keeping up with the latest news from Portugal, all part of the Winkworth service. GQ magazine has declared what many of us already knew; Portugal is a beautiful place for a holiday thanks to those pristine Algarve beaches. Not all commentators are convinced by this appearance of fiscal stability. Nevertheless, the Portuguese property market has been positively affected by a renewed economic confidence. Figures released by Statistics Portugal show a gentle price increase for Q1 and Q2, also reflective of Winkworth International’s year so far. A growing number of European buyers are seeing the benefits of buying property for sale in Portugal. 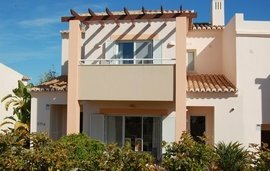 However, this increase in demand hasn’t yet impacted the sheer affordability of apartments and villas in the Algarve, compared to property in other sunshine destinations. So, if you plan to buy a holiday home in Europe, take advantage of this pivotal moment and invest in an Algarve villa for exceptional value. Luxury gated properties in popular resorts like Carvoeiro make the best kind of second property abroad. Carvoeiro has been a favoured tourist destination for many years, with a bustling resort centre that retains the charm of a fishing village. 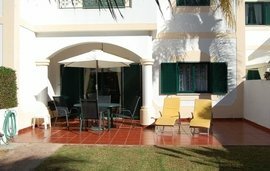 Carvoeiro property is just 45 minutes from Faro Airport and commands good rental yield. Surrounded by national parkland, the Santo Antonio golf resort offers luxury living amidst breathtaking scenery. Further into the western Algarve, a villa in Budens is an equally desirable holiday home, particularly for committed golfers and their guests. This villa is situated in the prestigious Santo Antonio golf resort, with views across the Parque da Floresta fairways (pictured above) and the Costa Vicentina National Park as far as the ocean. Here, you can enjoy the beautiful beaches and coastal scenery of the unspoilt west, without compromising on high-calibre holiday property. Santo Antonio features a golf academy and clubhouse, together with a spa, tennis courts and children’s activities. Buyers around the world have begun to understand that a villa in the Algarve is not just for holidays. Winkworth Portugal have written extensively about the opportunity to obtain Portuguese citizenship through property investment. Associated tax incentives, along with low living costs, have attracted many global investors. You don’t have to live in your Portugal property all year to qualify for this status, but should you do so, you’ll be well-provided for. This five bedroom countryside villa with pool, paddocks and stables is a short drive from Lagoa town. For the family buyer, for example, properties like this five bedroom villa in the Algarve countryside (pictured above) afford a fantastic lifestyle, just ten minutes’ drive from the Lagoa Nobel International School. A vast plot includes extensive grounds and pool, with paddocks, stables and pool house, making an idyllic home for growing families. 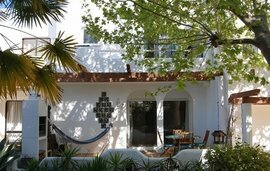 This villa is beautifully maintained, with a stylish kitchen opening onto a luxe outdoor dining area. Winkworth International are really excited to market this Algarve property. If you’d like to discuss the property market in Portugal, our Winkworth International property experts would love to share their knowledge. To benefit from our longstanding experience as a truly international real-estate agent, contact the Winkworth Portugal office.